Actually, I think I have to thank the humor, and lifting of the Depression I spoke of in the previous Post to...........the Dakinis. I don't understand the wonderful Beings I recently made a collection of 5 masks for as a commission, but I honestly believe in spite of my ignorance, they have been helping to release me from..........myself. My gratitude to the Sky Dancers! And I hope that they are pleased, along with Mekare***, the Tantric dancer and teacher I made them for, with my humble efforts on their behalf. May these masks be filled with transformative energies, and be of benefit to many others as Mekare dances with them, and teaches others to do so as well. "The Dakini is a primordial female wisdom energy. They are called "Skydancers" for they are completely free, able to travel between worlds and dimensions, free of the entanglements of the mind, and intimate with impermanence. They dance in limitless luminous space. 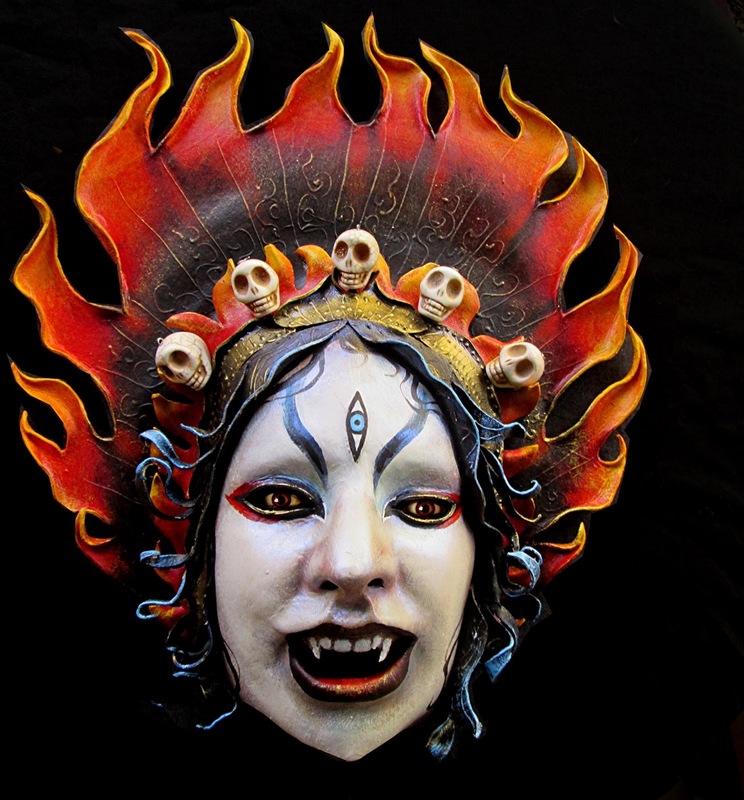 Embodiments of the Dakini are said to do their practices in graveyards, adorned with skulls and bone ornaments representing their intimacy with impermanence and their freedom from all fear. They are ferocious and wise, primal and magical. Fierce allies and agents of change. Their compassion is immense. They can be tricksters of the most sublime order, terrifying and demanding of truth, and also the most kind of guides, playful and nurturing. They break through barriers, invoke strength and power, guide us across the thresholds of awareness and change. I immediately related to the Dakinis being associated with the Five Elemental forces, the "Medicine Wheel" of the directions. My sense is that they are like the Devas, primal beings and builders and creators, their concerns and origin are not necessarily human. 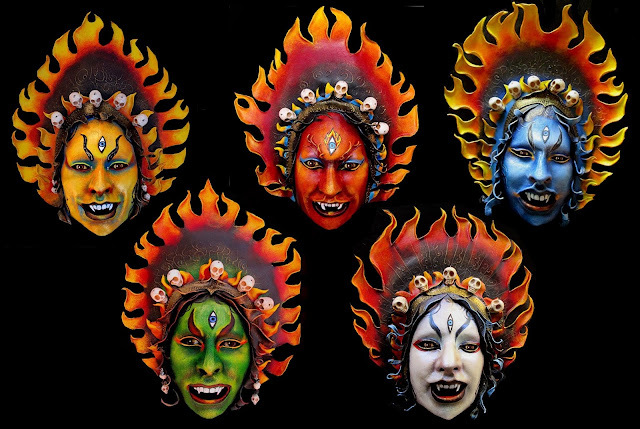 In this sense, they are elemental beings, associated with the 5 Directions, invoked perhaps just as Pagans invoke the Five Guardians or Powers of the Elements - Air, Fire, Water, Earth and Center or Aether. Perhaps, like Kali dancing with Her skull necklace, or the dancing Bone People of the Mexican "Day of the Dead", the skulls and bones that adorn them represent a ferocious hilarity at the fears that beset us, the joy beyond death, beyond impermance. "Dakini is a source of refuge. Besides taking refuge in the Three Jewels (Buddha, Dharma and Sangha), we also take refuge in the Three Roots (Guru, Yidam and Dakini): Guru as the root of blessings because he or she will guide us to attain enlightenment; Yidam as the root of accomplishment because through the skilful method of practicing on an Yidam or tutelary deity, one will realise the nature of his or her own mind; Dakini as the root of all enlightened activities since Dakini represents primordial wisdom. 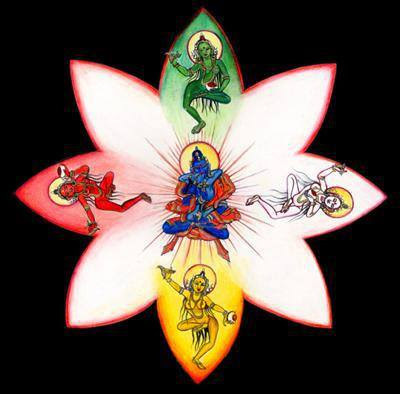 Dakini is associated with spaciousness, therefore has the ability to give birth to limitless prospects of enlightened activities: pacifying, enriching, magnetising and destroying. Dakini also embodies the union of emptiness and wisdom. There is nothing more than this. A Dakini has the ability to move freely in space which is beyond thoughts and beyond fabrications. This is the state of awareness which is under control, stable and yet free. Everyone has the ability and the potentials to realise the Wisdom Dakini principles or nature within oneself." all-accomplishing wisdom and enlightened activity. Associated with Karma Dakini: Fulfillment. Aware choice. Grace. Ease. The Tao. The Martial Artist aware in every direction. Compassionate and capable action in the world. The transmutation of desire, lust, and grasping into discerning awareness. in order to bring benefit. Warmth. Comfort. Delight. Joy. The transmutation of arrogance and greed into equanimity and generosity. Associated with Ratna Dakini: Abundance. Stability. The richness inherent in every moment and everything. The transmutation of confusion and anger into mirror-like wisdom. Associated with Vajra Dakini: Clarity. Precision. Intelligence. Intuition. and disconnect into illuminated spacious mind. Associated with Buddha Dakini: Calm. Peace. Spacious. Soothing. 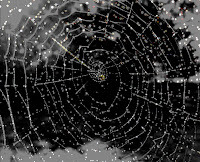 Realization of connection and the web of all. The restful state of enlightened mind. MEKARE is a Sacred Dancer, Artist, Storyteller, Shamanic Bodywork Therapist, and Visionary Creatrix who is passionate about embodiment, evolution, sacred dance, and healing. She has traveled extensively, studying with indigenous healers and dancing ecstatically around the world, including performing for His Holiness the Dalai Lama in the Mandala Dance of the 21 Praises of Tara. Mekare is an initiate on the Path of Pollen, an ancient shamanic tradition of the Honey Bee and the Hive. The potent energy of the sacred Bee flows through all of Mekare’s work … in dance, in healing, in love. A practitioner of Tibetan Buddhist Tantra, Mekare is a senior teacher and transmitter of the sacred dance/sadhana practice of The Mandala Dance of the 21 Praises of Tara, which is recognized by all four schools of Tibetan Buddhism as a direct lineage practice. She is also a transmitter of the powerful energies of the Five Wisdom Dakinis and is an adept in masked dance performance and ritual. 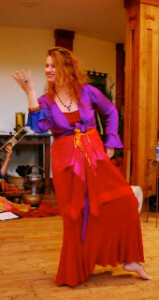 She leads classes, workshops and retreats internationally, offering many rich experiences of dance, ceremony, and transformational practices, as well as individual healing sessions/temple bodywork. 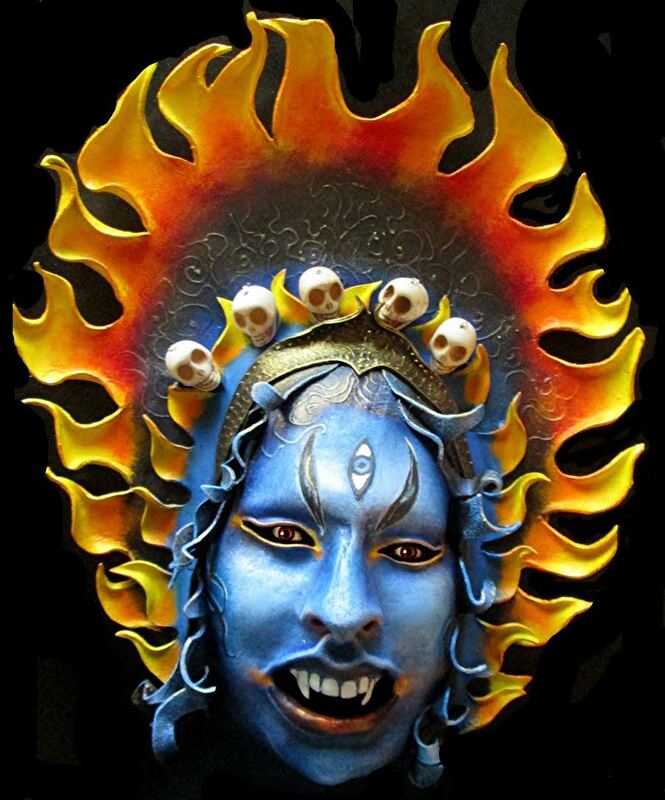 Mekare is the creatrix of Wild Honey Ritual Theater and Dance Prayerformance. Created as a medium for her ritual prayerformance offerings, Wild Honey is a dynamic sacred container for the magical cross-pollination that occurs when bringing together artists and innovators from many fields of experience. It is Mekare’s vision to gather and create this wild honey of extraordinary nourishment all around the globe. You can contact Mekare at: DevadasiM@aol.com and (US) (336) 971-1427. "No one can tell the difference between the true azure and blue mud anymore." I haven't been writing much, because, to tell the truth, I've been depressed. I've become virtually invisible. As an aging person, an artist, someone living in 2016, a strange time and place to find yourself embodied. Strange indeed. I tend to feel that, along with the end of art districts to gentrification, and art to photo shop and commodification, I have become a dinosaur, with no outlet or interest any more for my antediluvian creativity, which endlessly bubbles up anyway. Do we make art just for ourselves? Well, yes and no. Art is a Conversation, and a conversation should not always be about talking with yourself. I guess I'll have to make my own retrospective one of these days, since there is no institution that will do it........although I'm not sure anyone would notice. But I would dearly love to put together just one more grand catalog, and have it sitting on a table along with the wine and cheese................I always loved openings. I share this sense of uselessness with many others, but it doesn't help "my depression". I go to bed with the darn thing at night, and damn, there it is in the morning, casting its pall over the rising day. I've been so depressed that among other things I have been on the verge of deleting this Blog several times, wondering what is the point, I haven't a thing to say anymore.......but then I look at some of the posts and realize that some of them are pretty good. I might even trace myself back to some point of self-realization in the process of reviewing them, if I have the energy to pursue the threads of my own journey again. So the story of this synchronicity may take a while to circle into..........but synchronicities are like that, aren't they? 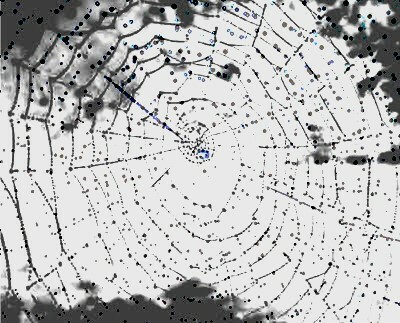 Circular, Webbed, ever expanding if one keeps looking. Perhaps, that is the way, as the Romans would say, "the Gods speak". the Goddesses. I decided to let myself rant, or try to write about it, to see if it helps to at least concretize the depression, give it words, give it a shape, give it a name, and see it that helps to tame the beast. Yes, even as I wrote, all the cliches of contemporary society come rushing into my mind like a torrent of mediocre shame, buzzwords and New Age positivity. In an extroverted world so relentlessly devoted to accomplishment, achievement, and above all, Goddess help us, commerce, depression has no place at the table. So a story, and a quote, from my favorite author, Ursula Leguin, came to mind, from "The Farthest Shore". It was about a world that was losing its life force vitality, its "soul", and the travels of the Archmage Ged to find the source of this malady. On an island once famous for the dyers who created beautiful colors into silk fabric, Ged finds himself in a dispirited pub, where the locals are lamenting the loss of artistry and prosperity. "They can't tell the difference between the True Azure and blue mud anymore" says one ill tempered local to Ged. I've always remembered that passage, and on my grim days, sometimes feel that the same malady has befallen us, in the Era of Cheap, Era of Walmart, Era of Disposibility. So I decided to google "True Azure and blue mud" just to see if I had the quote right. And guess what came up? Me! Only it took a while to figure that out. The page Google landed me on (posted in 2007) seemed so aligned with what I believed and envisioned that I felt inspired by it, applauding the author for being a kindred soul. Until I realized that, actually, it was a uncredited total plagiarism of my own 2007 post as I pursued my project "Spider Woman's Hands" as a fellow of the Alden Dow Creativity Center. I saw that the blog person, whoever it was, had posted verbatim many pages of my Blog, all without crediting me. Here's the link to, well, me again, without my name attached: http://animabrat.blogspot.com/2007/06/shadow-work.html Did this blogger want to appear as if she/he were me? Or, as they say, is imitation the highest form of flattery? Considering how dreadful the rest of the blog is, probably just as well that my name isn't there. But then I started to read what I had written, almost 10 years ago. And realized, along the way, that I LIKE MYSELF. It's not bad, and I understand something true from it, something that pulled me from the abyss of my depression, gave me the insight I needed. A "hello" from a younger self. And I like the idea I had, 10 years ago, of creating a Society for people who have fallen through the cracks. Out of the Loop. Aging Invisibles. The Loopy People. I haven't found them yet, but maybe it's really time to start looking. 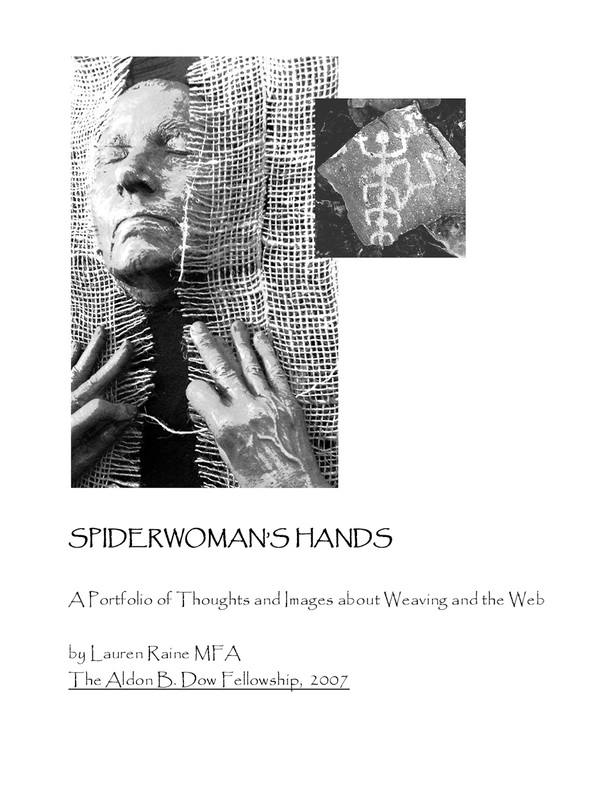 In the end, I have to thank (Spider Woman, of course) and the unknown plagiarist for helping me to re-connect to myself. Thank you. Who is the weaver, after all? I'm having a problem working. I suppose that's part of the process. You can't ask a question, a real question, without the universe, so to speak, providing both polarities. Or at least, so it is for me. "Hello", my demons leer at me, gathering at the door. "Before you get 0n this Unity idea again, allow me to point out the dragon guarding the treasure at the heart of the mountain." By the age of 57, you can have a lot of dragons, a lot of unravelling of heartache and disillusionment to. Well, of course. The Internet is the greatest library ever made, and best of all, it's available to everyone. Yet how has it also redefined communication? Is it possible that we are also becoming so over stimulated, so "busy", that we can no longer tell the difference between real intimacy, conversation, communion - and superficial or even just imagined "connections" with others? I don't hate email, but I try not to take it seriously. Once upon a time, I lived in a world where people wrote letters. It was personal. You had pen pals. When I put up my website more than 10 years ago, I had this perspective - it was about making friends, having my own cyberspace gallery, not so much about business. I used to receive notes from people. I even had a guest book, and met a few real friends this way. Then the guestbook began filling up with spam, even pornographic spam. And notes between friends became group emails, then increasingly impersonal things, like political information, or, of course, announcements of openings, books, shows, etc. for me to circulate. And those little chain mail prayers and uplifting stories you have to pass on to "10 more people" in order to benefit from whatever kind of grace so doing so would accrue, all the while being information gathering devices for spam companies. And now there is Facebook and Myspace, where people I once knew well, people I once slept with or cried with or marched with or created with.........stream by so fast, reduced to a multitude of nano-seconds. Images and brief glimpses into their lives that are vaguely unsatisfying. Realizing that people receive hundreds of emails to read and process, I share less and less these days. On my not reasonable days (like today), I feel the whole world has ADD and can't tell the difference between a poignant moment of real human contact and a sitcom. Between, as my favorite author Ursula Leguin wrote, "blue mud and the true azure". Everyone is so very, very busy. Or maybe the "pace" of our "lifestyles" has continually become more intense, and I'm just one of those who falling through the crevices of modernity. Could it be possible there are other people like me, fraying, unraveling, beginning to say strange things to electronic answering machine menus that get longer and longer and more labyrinthine........lingering for meaningful conversations at checkout counters........mumbling Rilke or Lessing while ordering coffee at Starbucks drive thru......are they quietly wondering if they really are becoming invisible, and they do these things just to test the waters? If that's so, maybe we can find each other, start a secret society maybe. We'll become people who have fallen outside of the loop. Loopy people. We'll have a drink and some of those long, long soul satisfying conversations that went out with the '90's and the invention of laptops and cellphones. Our membership will include people who were geeks but they reinvented ourselves to become something else, and are now regressing back to our earlier geek template because we're in various stages of breakdown, confusion, exhaustion, overweight, or just waiting for rebirth while still inhabiting a body - all ages, sexes, races and economic backgrounds welcome. We can have comfortable camp outs (in places like the Berkshires in July, when there are fireflies, and with hot showers and barbecues).......or go to Sumatra economy class and stay in a home stay for $3.50 a night, and drink rice wine and bat at mosquitoes and talk about art, or crumbling temples, or Hindu mythology, or lost loves, or spiritual ecology, or petroglyphs, and live in ways that are frugal. We will talk at length. Leisurely, encircled conversations that wind and spiral around themselves, with memories that are really stories with no particular beginning, and no particular end, and all the lovelier for a little embellishment. Our conversations will no doubt intertwine, with threads from each woven into the fabric of others, so that sometimes it is not clear if the colors are distinct. That's fine. We might burn little oil lamps to read cheap paperback books by, and fall asleep without clocks or cell phones or bras. We would allow each other our delights, and our melancholies. Exaltations and Maudlins are welcome as well. I won't apologize for "creating my own reality" in ways that leave me sad or discouraged sometimes. If any other aging geek in the bunch has a rough time of it, I won't promise I can make things better, or even that I'll always be able to listen. But I won't expect them to apologize either. And we'll never, ever talk about "money" or our various bodily complaints, unless it's absolutely necessary. We might, however, remember people we've loved, loved in all of its forms and fashions, Agape, Eros, hot or cool, and how privileged we were to have loved them, more so, if they loved us back, for whatever moment or place or time. We might contemplate the real value of things, sweet things, hard things, natural things, vivid things, sad things, but all valuable things because they opened our hearts, and made us not only feel alive, but be alive. The threads in the tapestry that you notice, that stand out in the warp. We might write poems no one else will ever hear, and it doesn't matter. We might remember the remarkable lives of a beloved father, or an eccentric aunt who ran a boarding house in the Great Depression. If we're feeling risque, we might talk about Dionysus and the mysterious Eros of nature. We might remember more personal examples worth sharing. We might talk about books. We might talk about Georgia O'Keefe and Stieglitz, or read from Walt Whitman. We might talk about jazz, we might listen to jazz. We might ask what god a gamelan is speaking about, or is it a river, or is the god or the river, or both, speaking through the musicians? We might come up with reasons why Beethoven wrote the "Ode to Joy", we might toast to every beach and river and forest we had the privilege and pleasure of walking in, being submerged by, and talking to. Think of someone you parted from. Think of your last mental image of that person. The way they were then, at least, as they seemed to you. Now imagine one of the best days you ever spent together. Snapshot in your memory album. Find another one - one of those best and bright days. Gabor Mate on the Myth of "Normal"
I enjoyed this brief interview with Gabor Mate, who is so succinct in addressing the paradigm that contributes to a society driven by addiction. Gabor Maté is a Hungarian-born Canadian physician who specializes in the study and treatment of addiction and is also widely recognized for his perspective on Attention Deficit Disorder and his firmly held belief in the connection between mind and body health. He has authored four books exploring topics including attention deficit disorder, stress, developmental psychology and addiction. In the video below he speaks about the Myth of “Normal” in Psychological Disorders. He explains how mental distress and pathology exists in a continuum and are largely a result of a materialist culture that rigidly “idealize individuality and ignores emotional needs,” prioritizing objects over people and well being. Blessings to all at the Equinox! "I experienced contact with something or someone sentient and much greater than my individual self. I had experienced contact, even momentary communion, with the "essence" of what could be called a transpersonal presence. 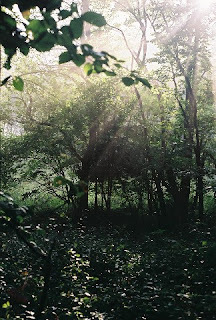 Afterwards I was told by the local shaman or caretaker that I had met with the guardian spirit of the place.....Pilgrim Martin Gray described a (similar) unification experience he had while attending a Shinto religious festival." Debra D. Carroll "From Huacas to Mesas"
I have been thinking, as I often do, about the "numinous", the intelligence of the life around us, whether we walk in a forest, the desert, or simply, as I do, talk to my plants each morning, asking them what they are doing and admiring them. How do we "talk to the Earth"? It is, in my experience, an intimate conversation. I myself have experienced things "paranormal" at places of power, including heightened energy, dowsing rods that go crazy, orbs, strange photographs, dreams, and other phenomena. 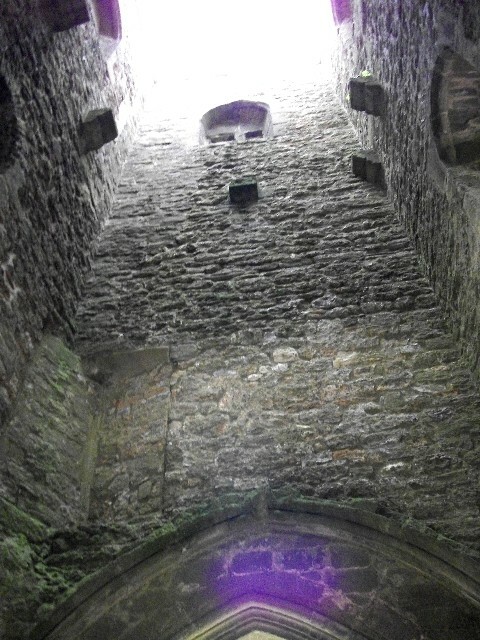 When I climbed the Tor in Glastonbury, all my photos were infused with violet light.....which is the color associated with the Lady of Avalon. My camera hasn't taken "purple photos" before or since. For days after visiting Avebury I was "blissed out", and had the most wonderful dreams. I remember when I was living with with my former husband in upstate New York in the 90's. Where we lived was a rural area rapidly being built up with industry. One of the mysterious places in the area, to me, was a field I used to visit. To get to that field, which bordered our property, one had to go through a kind of obstacle course - you crossed an old stone wall, immediately ran into a rusted barbed wire fence, and then tramped through a barrier of poison ivy, grape vines and small trees. Braving all of this, a beautiful field appeared. Bordered on all sides by trees, you could stand there in the tall grass, or the snow, and see nothing of the warehouses or homes nearby. It felt, oddly, as if it was somehow protected, as if you entered a special, quiet, mysterious place. The land had obviously once been worked, but it had been left fallow for many years, and in the center of the field, if you looked, was a "fairy circle". Small trees, bushes, even tall grasses formed a surprisingly visible circle. With my divining rods, I found there was a ley crossing in that exact spot - the rod "helicoptered" and whirled. Duncan and I were actively involved in Earth based spiritual practices, and he facilitated a men's group. One night when the moon was full the group, energized by drumming, decided to visit the field. There was snow on the ground, and as the young men strode to the stone wall, something pushed two of them into the snow! Being young, they got up and thundered forward - and something pushed both of them backwards, again. They fell on their behinds in the snow! This (I was told) was enough strangeness for everyone, and the group turned around and went home. The next day, my ex and I took offerings to the edge of the field. I remember placing crystals and flowers on a stone, and as I did, I felt such an overwhelming sense of sorrow that tears ran down my face. I believe I was feeling the sorrow of the guardian spirit of that place. . 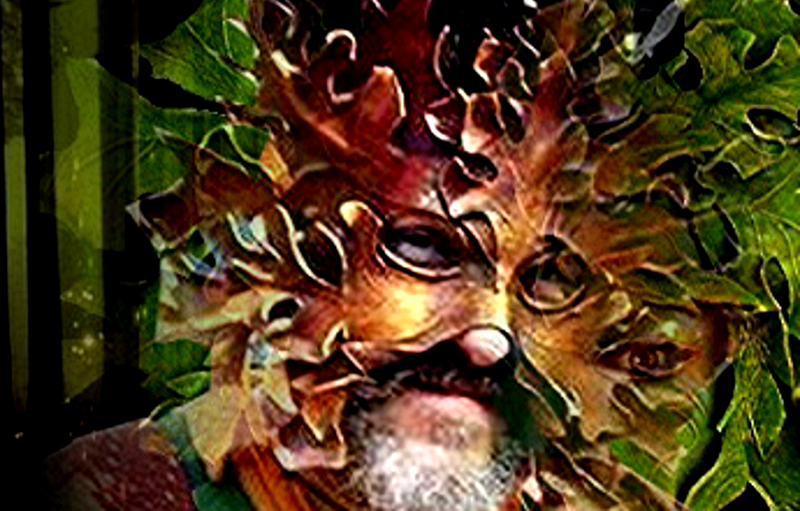 It was a very intense feeling, and sadly, a year later there was an oil spill in a nearby truck depot, and the wetlands that bordered "the Field" suffered ecological damage, and a big tree we associated with our "Green Man" died. Sensitivity follows intention, and perhaps, had I not been practicing an Earth based religion, I would not have had that experience. The voices of the land are subtle, and we must prepare ourselves to listen. The tragedy is that the Earth is speaking to us all the time, and the greedy forces of modernity, moving faster and faster and faster, make us ever more deaf the the Voices of the land. 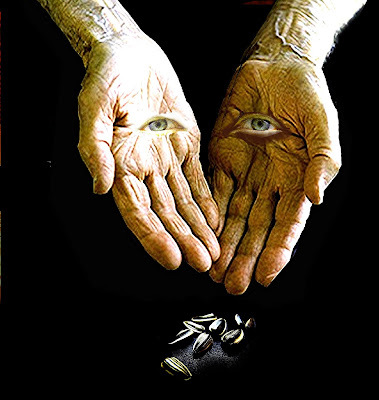 Sages and seers from antiquity have repeatedly remarked that the dimension we see with our physical eyes is not the only dimension of existence. Many other realms exist and within them a variety of beings, spirits, energies and entities. Traditional peoples the world over have spoken of the existence of these presences, calling them such names as elves, gnomes, leprechauns, devas, fairies, genies and ghosts. Since time immemorial humans have sought contact with these unseen forces. Shamanic practitioners communicate with the spirits of animals, ancestors and the plant world. 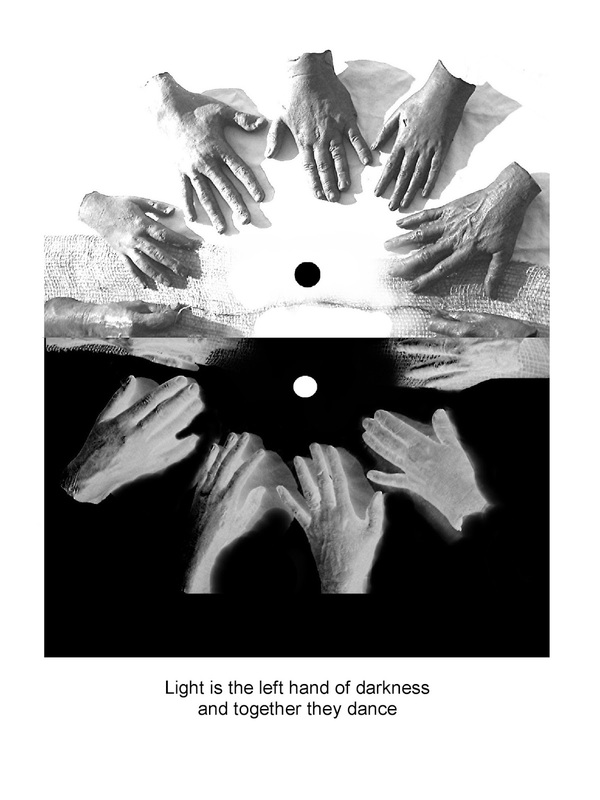 Psychics, clairvoyants and mediums conduct séances to speak with entities from nonvisible realms. Religious mystics affirm the presence of angels, deities and other heavenly beings. Whatever we choose to call these entities, and however we attempt to explain them, it is certain that something mysterious is happening in dimensions other than those perceptible by our normal senses of sight, hearing, touch and smell. These mysterious presences seem to be especially concentrated at the power places and sacred sites. In some holy places, particularly those of remote forest and desert tribes, these unseen presences are the sole focus of ritual activities. No Christian church or Buddhist temple will be found there, only a small shrine indicating the abode of some nature spirit. In the world's more celebrated pilgrimage shrines, these presences receive less acknowledgment than the primary religious deities. While the presence of the unseen forces usually long precedes the arrival of the historical religion that now maintains the pilgrimage shrine, those forces are frequently denied, dismissed, demonized or given only marginal importance. In the temples of Burma where we find great monuments to the Buddhist faith surrounded by small shrines dedicated to a host of pre-Buddhist spirits called Nats. 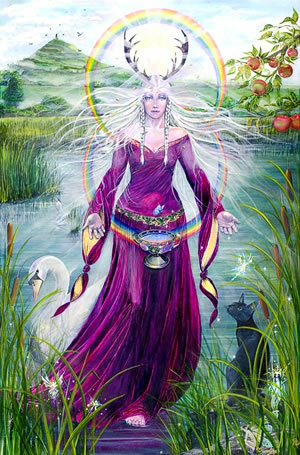 In the Christian churches of Europe, Britain and Ireland flow springs long ago dedicated to pagan earth goddesses. And in the courtyards of enormous south Indian temples stand numerous small shrines housing various spirits called yakshas, nagas and asuras. These unseen forces may affect pilgrims without their having any knowledge of the forces, or they may purposely be summoned to appear by the performance of ritual actions and invocations. Traditional rituals practiced at many shrines are potent, time-honored methods for invoking various spirit forces. Such methods are not the only way to summon the mysterious powers. Focused mental intention is an effective method of invocation, and prayer and meditation are the tools of spirit communication. It is beneficial to first learn something about the nature or character of the spirit entities that inhabit a sacred site. Reading guidebooks concerning the mythology and archaeology of the site or questioning shrine administrators and priests are good approaches. The unseen forces will be described in terms such as spirits, devas or angels. These terms are simply metaphors for the actual character or personality of the forces. These terms also serve as metaphorical representations indicating how the forces will psychologically and physiologically affect human beings. Next, carefully consider the character of the unseen forces dwelling at a sacred site - this important point should not be lightly dismissed. Those forces may have either beneficial or disturbing effects on different people. Invocation of unseen forces at sacred sites is a powerful practice. It is important to exercise caution lest unwanted forces be admitted into an individual's personal energy field. "There is an earth-based energy available to human beings, concentrated at specific places all across the planet, which catalyzes and increases this eco-spiritual consciousness. 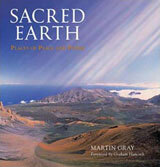 These specific places are the sacred sites discussed and illustrated on this web site. Before their prehistoric human use, before their usurpation by different religions, these sites were simply places of power. 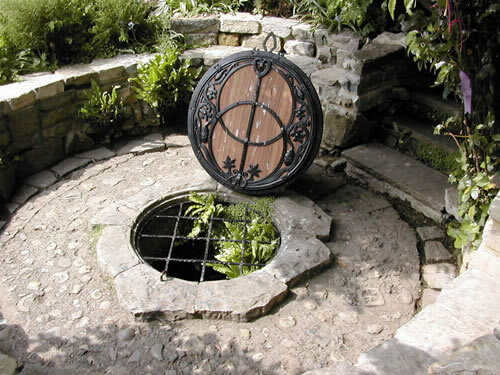 They continue to radiate their powers, which anyone may access by visiting the sacred sites. No rituals are necessary, no practice of a particular religion, no belief in a certain philosophy; all that is needed is for an individual human to visit a power site and simply be present. As the flavor of herbal tea will steep into warm water, so also will the essence of these power places enter into one’s heart and mind and soul. As each of us awakens to a fuller knowing of the universality of life, we in turn further empower the global field of eco-spiritual consciousness. That is the deeper meaning and purpose of these magical holy places: they are source points of the power of spiritual illumination." Back in December I sent a photo of the painting above to my favorite author, Ursula Leguin, along with a letter expressing my appreciation for all the worlds she created in her books that I have spent so many years visiting and learning from. I have travelled with Ged throughout Earthsea, and studied worlds of the Ecumen with Mobiles and Stabiles. I was pleased to at last be able to thank her. And more surprised and pleased when she wrote back! She sent me a card, and a poem. What a delight and privilege, one I will treasure always!